Enjoy the best inspirational, motivational, positive, funny and famous quotes by Aki Kaurismaki. Use words and picture quotations to push forward and inspire you keep going in life! 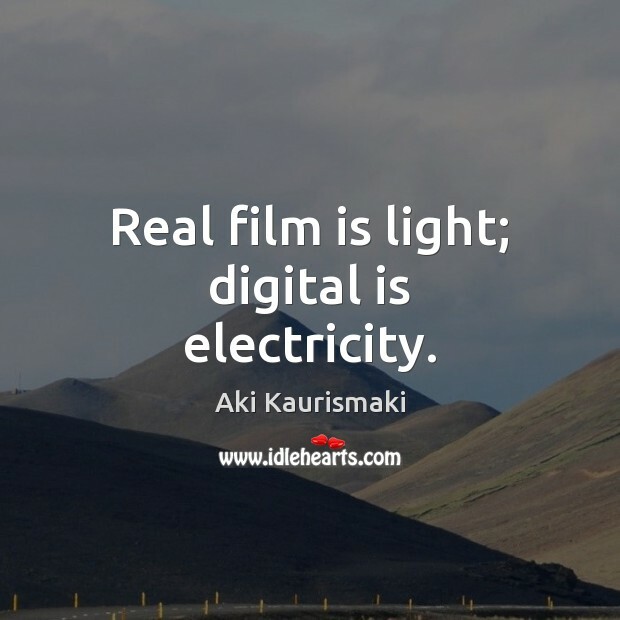 Real film is light; digital is electricity. 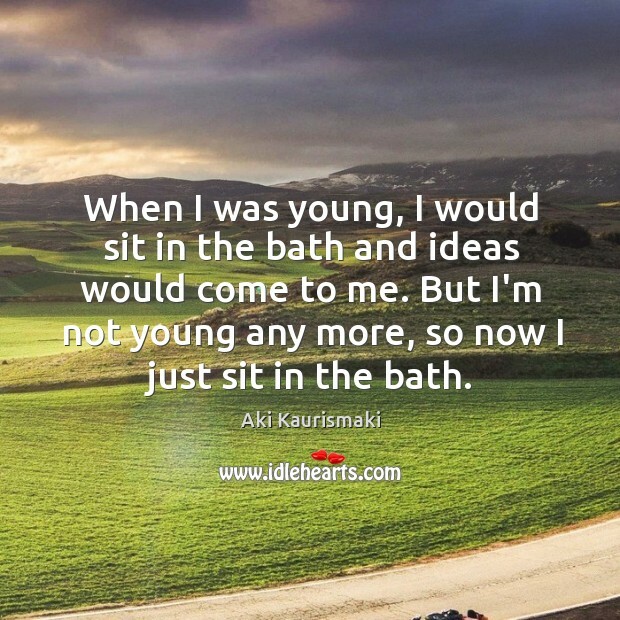 When I was young, I would sit in the bath and ideas would come to me. But I'm not young any more, so now I just sit in the bath.